I never submit my tax return until the last day, unless I’m getting a refund, which is not the case this year. It’s a bummer having to shell out extra money at tax time, so instead of writing about that, I’m going to write about my favorite poet, T. S. Eliot, whose epic poem The Wasteland is often quoted around the tax deadline. It’s just the first line of the poem: April is the cruelest month. Here’s the first four lines of the poem to provide a little context. This seems to refer to the dawn of nuclear weapons, but the poem was written in 1922. Come in under the shadow of this red rock. Gives me chills. David Bowie is reported to have said that when fans would meet him they’d often quote his lyrics and offer an explanation of their meaning. He would always listen to the explanation and say “Yes, that’s it exactly,” even if he didn’t have that explanation in mind when he wrote the lyrics. He said he did that because it’s fun for people to project their own meaning into art and by so doing make it more meaningful for them. T. S. Eliot is probably best known for his series of poems about cats, which served as inspiration for the musical play, “Cats.” The cool thing about the cat poems is you can match your cat to one of them. My cat’s name is Rocky and I’ve matched him with the poem Bustopher Jones: The Cat About Town. Here’s an excerpt. In fact he’s remarkably fat. For he’s the St. James’s Street Cat! 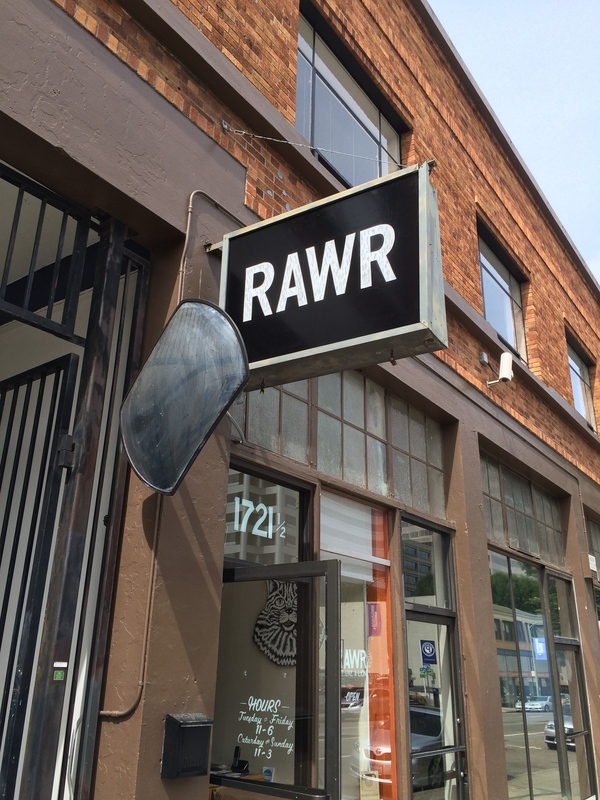 There’s a business near where I work called RAWR. I’ve walked by it a few times but never stopped to figure out what it was. At first I thought it was a restaurant, but then noticed there are no tables; just a service counter and a cold box with neatly aligned cylindrical containers, so I thought maybe it was a grab and go lunch place. One day I decided to end the mystery and as I went inside I noticed that the door had the phrase “Eat Like A Lion” stenciled on it. The nice lady at the counter explained that RAWR sells cat food. RAWR is a boutique cat food outlet. Seriously. According to the nice lady at the counter they source chickens and fish locally and use the entire animal. You buy the food frozen and let it defrost before feeding it to ditty fuzz. I was going to buy some, but my cat is on a prescription diet. Poor Rocky. I’ll miss him when he’s gone.